Something for almost everyone - even those who didn't think so. Not everyone has visited a submarine so here are some answers to things we get asked the most. ﻿﻿Southwestern Ontario has just about everything - vibrant theatre, world class wineries, craft breweries and excellent cheeses. Lavender fields, Carolinian scenery, two Great Lakes (Erie and Huron) and we are on the flyway for migrating birds and the monarch butterfly. 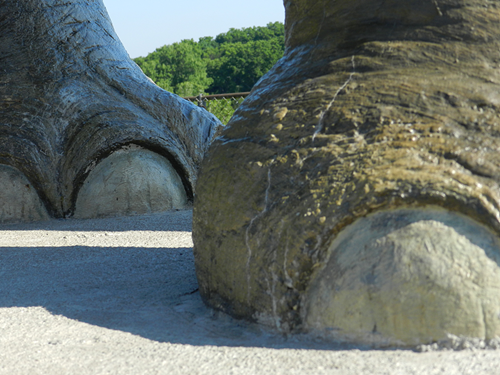 Oh yes, we have a rather large elephant in St. Thomas - a two minute stroll from the Elgin Military Museum. For a list of other things to do in the area, click on the link below. HMCS Ojibwa is in operational mode. That's code for she is a war machine made of steel and other things that may go bump if you don't keep a sharp eye out. Baseball caps need to be worn backwards, high heels are downright dangerous and flip flops and other small items, if dropped through one of the many open spaces, could well be irretrievable. Cell phones and cameras must be safely tucked away after the Forward Torpedo compartment. Backpacks and large purses should be left in the car. Dress for the weather. In the Spring, Fall, and Winter seasons, it may be warm in the sun, but it can be a little chilly in the submarine. Be sure to toss a sweater or jacket and gloves in the car to wear on tour. Socks are always a good idea, and on our winter tours, coats, boots and mitts are a must. 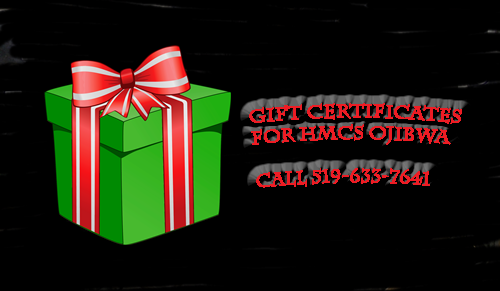 Gift certificates are available by calling us at the Elgin Military Museum in St. Thomas. Certificates can be purchased as either a specific number of tours, or for the dollar value of your choice, to allow the recipient to mix tours with items from the gift shop. 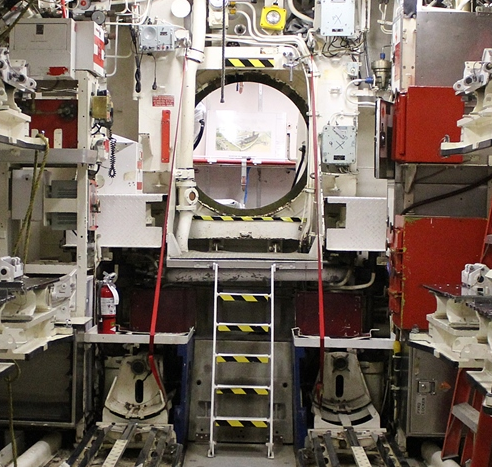 Please note that the Fisheye Tour is not offered in the winter and children under six are not permitted on the submarine for safety reasons. Gift certificates are available for any of our tours. But, you don't have to stop with the gift - ask us about adapting a Greater Depths Tour for a party, office or organization outing. We have also done corporate thank you evenings for staff and their families. So, if you have an idea, let us know and we will see if we can make it work for you.